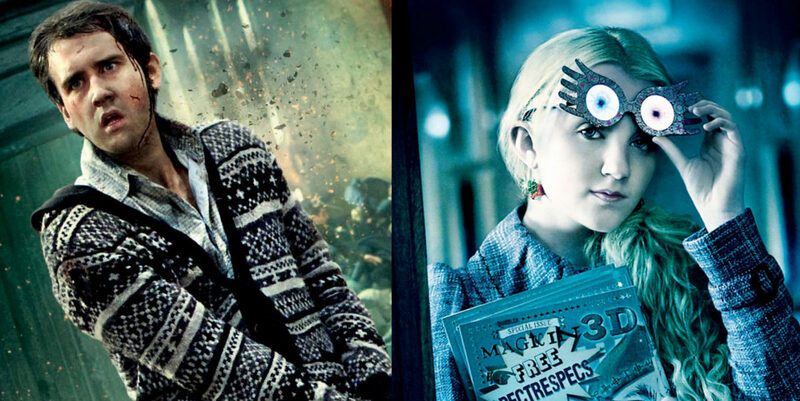 What happened to the main Harry Potter characters after Deathly Hallows? Update: read an updated article which includes ‘Cursed Child’ additions to the canon (contains spoilers). 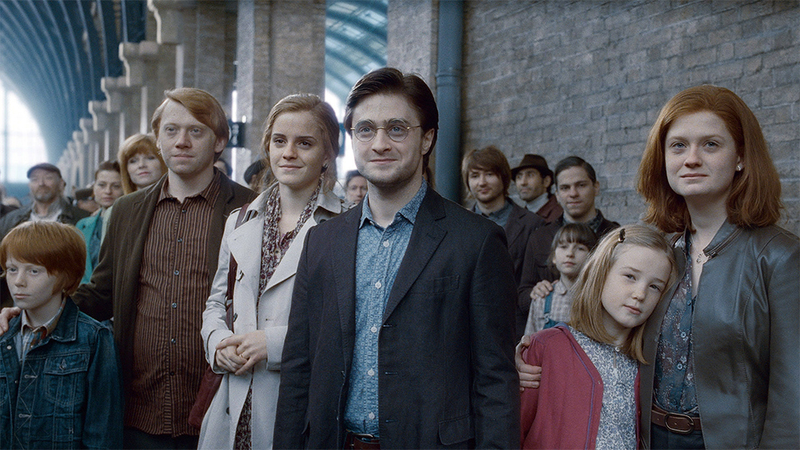 The future of the characters in the Harry Potter books didn’t end with the epilogue, set nineteen years after book seven. In the years since the publication of Harry Potter and the Deathly Hallows, J.K. Rowling has revealed a number of tidbits of information about the wizarding world. Read on to learn more. We learned in the epilogue that Harry married Ginny Weasley, Ron’s younger sister. Together they had two sons: James Sirius and Albus Severus, and a daughter, Lily Luna. After Voldemort’s defeat, Harry joined the Ministry of Magic, where he became an Auror (dark wizard catcher). Despite having no formal qualifications (Harry never sat his N.E.W.T. exams), he was ultimately promoted to Head Auror. Harry, Ron and Hermione also featured on Chocolate Frog Cards. We also found out in the eplilogue that Harry helped care for Teddy Lupin, the son of Remus Lupin and Nymphadora Tonks, who both died in the Battle of Hogwarts. After the events of the books, Harry and his cousin, Dudley Dursley, remained on “Christmas Card” terms. Harry also returned to Hogwarts to ensure Severus Snape’s portrait was hung in the headmaster’s office. In 2014, J.K. Rowling revealed that Harry, Ron and Hermione attended the 427th Quidditch World Cup. Harry was a VIP at the event, where he met up with Viktor Krum, who was playing for Bulgaria — the ultimate winners of the tournament. In the epilogue, we learned that Ron Weasley married Hermione Granger. Together they had two children: Rose and Hugo Weasley. Ron too became an Auror for the Ministry of Magic, but left some years later to help his brother, George Weasley, with Weasleys’ Wizard Wheezes. Ron also obtained a Muggle driving licence, but placed a Confundus Charm on the driving instructor to do so. Ron was the godson to Harry’s eldest, James Sirius. Hermione Granger returned to Hogwarts after the events of book seven, and sat her N.E.W.T. exams. Hermione too worked for the Ministry of Magic, in both the Department for the Regulation and Control of Magical Creatures and the Department of Magical Law Enforcement (she became Deputy Head of the latter). At the Ministry she continued her work with S.P.E.W. Hermione also translated The Tales of Beedle the Bard into English (the original was written in runes). Neville too worked as an Auror for the Ministry of Magic, but left the position to become Professor of Herbology at Hogwarts. He married Hannah Abbott, a Hufflepuff student in the same year at school. Draco and his parents, Lucius and Narcissa Malfoy, avoided an Azkaban sentence after the Battle of Hogwarts. Draco married Astoria Greengrass, and together they had one son: Scorpius Hyperion Malfoy. Harry and Draco remained civil (as evidenced in the epilogue), but never became proper friends. After the events of Deathly Hallows, Luna travelled the world, searching for exotic magical creatures. She married Rolf Scamander, the grandson of Newt Scamander (author of Fantastic Beasts and Where to Find Them). Hagrid continued to teach at Hogwarts. We found out in the epilogue that he invited Albus Severus, Harry and Ginny’s son, for tea — as he did when Harry was in his first year at Hogwarts.